The textile industry has many environmental problems. One of the reasons that textiles account for huge amounts of unnecessary pollution and that the industry has one of the largest carbon footprints is the use of conventional dyes. Synthetic dyes are made from petroleum, which is a non-renewable resource. The manufacture of petroleum-based products creates pollution. These chemical dyes contain toxins which are dangerous for both the people who are wearing the clothing and for the environment that is left with all the toxic wash-off. And, perhaps the most troubling of all is the excessive use of water. The environmental mess is even more complex than this. Fabrics are bleached with chemicals before dyes are used, leading to more groundwater contamination. Cotton, which many clothing and other textile items are made from, is naturally resistant to dyes. This creates the need for lots of heavy metal salts to be used to fix the dye to the fabric. So, why don’t manufacturers use environmentally safe dyes if conventional practices are so detrimental and inefficient? There are several reasons for this. Conventional methods were created, implemented, and they have become the norm. Traditional methods are all but long forgotten and are even considered to be archaic. To change methods would also be costly for the manufacturers. Synthetic dyes are bright, easy to control, and consumers have come to expect the results of conventional dyes. As the best methods for using natural dyes for modern demands have not been developed, plant-based dyes sometimes are not as efficient and are certainly not as consistent. What is the ideal for dyeing fabrics without harming the environment or contaminating groundwater with hazardous chemicals? In a perfect world natural fiber would be washed with water and natural soaps, sun-bleached and then colored with plant-based dyes made from fruits, flowers, leaves, and bark. Treatment methods would be used such as fermentation so fixing agents were never needed in the first place. The water used in this processing would be recycled for agricultural purposes. In reality the ideal is not practiced on a wide scale. It could happen in the future and groups such as The Colours of Nature are researching possibilities. For now, eco-friendly clothing companies can choose to use plant-based dyes such as indigo, sassafras, nettles, and berries. Some chemicals are generally required to act as fixing agents and still a lot of water is used in the process. Green clothing boutiques can also opt for dyes made from clay. Earth Creations, for example, has developed a range of beautiful colors for their clothing from clay, from jade to moonstone. Another option is fiber-reactive dyes which are petroleum based and they do cause hazardous pollution, but they are at least better. Less water use is required and fewer heavy metals are needed. They are more expensive for the manufacturer. For the consumer, you can look for fabrics that are made from environmentally safe dyes. 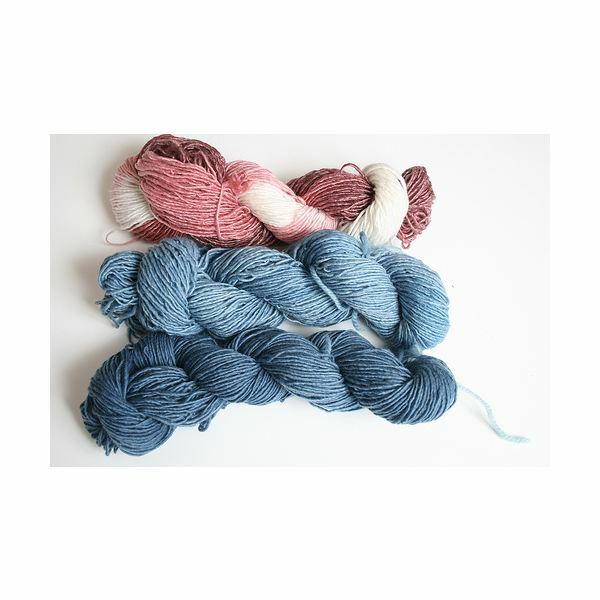 Natural dyes and fiber-reactive dyes are at least a step in the right direction, although they are not entirely eco-friendly. There are also clothes that are not dyed at all, which still may have color, the browns, reds, or yellows of the natural fabrics. If you really want to go the extra mile you can always dye your own clothes using plant materials and salt or vinegar as natural fixatives.